We invite scholars, PhD and MA students, researchers and practitioners in anthropology/ethnology, political science, economy, tourism sciences, media, archaeology, history, art, history of art, philology, literature, folklore, ethnomusicology, architecture, museology, archiving, audio-visual arts, information sciences/ technologies, geography, sociology, psychology and all related fields to submit papers on any topic related to conference theme. Papers may reflect on a wide spectrum of issues related to cultural heritage, economy, tourism, media, cultural identities, terrorism, migration, refugees etc. Though these factors were taken into account in the state programs accepted in the direction of integration of people with physical disabilities and social rehabilitation in Azerbaijan lately, non-learning of views of people in the area of social protection during the construction of the facilities, as well as doctors-rehabilitators ultimately leads to the circuit of vulnerable ones. On July 5, 2015 intellectual game “The Five Minds” in the initiative of the young MIRAS member, Fidan Mammadova was co-organized by MIRAS Social Organization in Support of Studying of Cultural Heritage,. 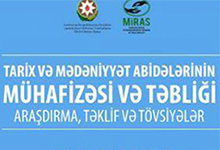 On 2 April 2015 “1st International Symposium on Genocides of History: Facts, Realities, Falsifications” was held by MIRAS Social Organization in Support of Studying of Cultural Heritage in Baku. The term of the festival will be 2 nights and 3 days. It is possible to take part in cultural programs of various folklore groups within the festival, join exhibition-fair, to follow oturma rite and akhir charshanba bonfires and Agsu tour. Being in touch with villagers, tasting rural food, taking interesting photos of the village, doing folklore studies will be available at the festival. 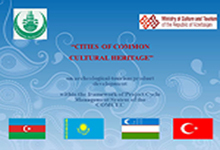 Folklore groups of different countries, cultural facilities and tourism companies wishing to promote and introduce their traditions of spring are invited to join to the festival. At the conference, reports on protection and presentation of cultural heritage through media, presentation of cultural heritage for tourism purposes, economic impact from cultural heritage and tourism, digitalization of cultural heritage as touristic products, cultural Heritage, social networks and “new media”, rural tourism and local economic development, tourism and local economic development were delivered. Azerbaijan will be represented by nearly twenty researchers and scientists from various scientific institutions and universities.